Who doesn’t have a family favorite recipe that is made creamy and moist by a Cream of Something Soup (mushroom, chicken, celery, etc.)? Let’s face it, most of us do. 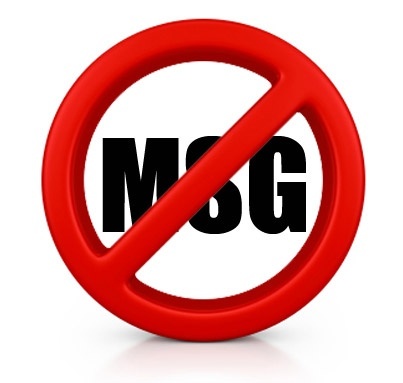 The problem with soup concentrates is the laundry list of preservatives and additives they contain, including MSG. These are not things I want to serve to my family any longer. This Easter I made a homemade Cream of Chicken concentrate to add to my kids favorite potato dish. It was easy and I had all the ingredients on hand already. Cheaper and much healthier, so of course I want to share it! Melt the butter in a small sauce pan over medium-low heat. When melted, whisk in the flour and continue whisking until smooth and bubbly. Remove from the heat and slowly whisk in the chicken broth and milk. Return to the heat and bring to a gentle boil, whisking constantly, until the soup thickens. Add salt and pepper to taste. Cool or use immediately in recipe. 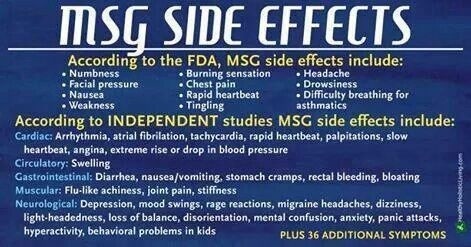 Just incase you have not explored the side effects of MSG..here are the ones reported by the FDA. Eat with caution and read labels to minimize your exposure. This entry was posted in clean eating, Nutrition Information, Recipes and tagged clean eating, msg, recipe substitutes. Bookmark the permalink. thanks so much!! I love that we’re on the same page! I just bought a new crockpot and it came with a cambell’s soup recipe book!! yuck!! I tossed it in the recycle… every last recipe was for things I already make but without the soup!!! It was really quick and easy. One of the finest soup I’ve ever made. I followed the recipe exactly, except the second time when I added dried parsley for some change and it was wonderful. Will save this recipe for coming winters. Adding to my list. Thanks for sharing Jo. I thought the same thing, easy and tastes really good. Glad it worked for you. Lots of ways to vary the soup too. Enjoy.